Point Shoes, Smoothies and Pirouettes are just a few of the topics the 14th Congress for Dance Medicin discussed in different lectures and workshops. Due to professional commitments, I was only able to attend part of the Dance Medicine (tamed) Congress this year. I arrived Saturday morning and went straight to the first workshop I had signed up for. It was run by Petra Lehr and was titled, “The Pilates Method and its Relevance for Dance Training”. The room was full and we all took our places on the mats on the floor, and Petra proceeded to lead us through a good, basic routine of core-strengthening exercises used in Pilates. Core strength is of course one of the basic things which dancers need, though most ‘normal’ dance-trainings do not specifically cover this aspect. After a short break there was – as I now found out – the second lecture block of the day. It seems that this year one has to decide between visiting the workshops or the lectures. I believe I am not the only one who thinks that this development is unfortunate. Then came a lecture by Andrea Schärli on “Balance Control in Pirouettes – what role does spotting play?”. She started out by explaining how complicated a pirouette is, and that no one has yet been able to develop a robot which can do a pirouette. Ms Schärli had developed several parameters to study and was able to do so with a group of dancers in Switzerland. The upshot was that spotting does help to remain stable during a turn, whether sitting in a revolving chair or doing a proper pirouette from 5th. Sophia Lindner spoke about her idea for a new pointe shoe, which is in the early stages of development. It is hard to imagine how it will work, as the materials which will eventually be used have not been decided-upon yet, but basically it will be made to fit each individual foot and have a box and sole of some sort of plastic-compound which will allow the dancer to roll up and down off of pointe and, due to the innovative design of the shoe being integrated into a stocking, keep the pointe shoe on the foot and not interrupt the line of the leg. I will be interested to see how this develops further. There was also a lecture by Angélique Keller on the results of an intervention involving plyometric training with professional dancers, to see if their jumps improved. This was interesting partly because the training was, as far as I could tell, not exactly goal-specific; the movements worked on were not that similar to what the dancers usually would do. The results so far are somewhat mixed; there was some improvement. But perhaps due to the small sample size, the timing of the intervention and end-tests during a heavy time in the professional season (when is it not a heavy time?) and the fact that the results are still being evaluated, the differences between those dancers who had the intervening training to improve jump height and distance and those who did not seemed relatively small (though there was one dancer who improved significantly!). One thing which stood out amongst the majority of the studies which were discussed was that they were mostly conducted on a very limited number of dancers, and the main outcome was usually the realisation that actually more studies are needed. 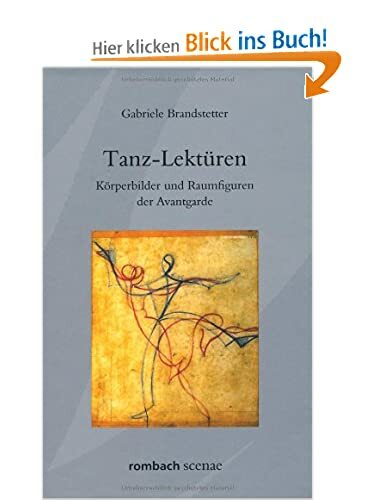 There were lectures on what specific-training could do to improve the execution of a certain step in Tap-Dance (by Oksana Bachmann) and on the effects of stamina training for contemporary dancers, (by Silvana Lemm), and whether this improves the aesthetics of their movements. It seems that judging the aesthetics of movement is an extremely subjective endeavour, as well as the fact that the dancers were already at a high level of expertise, so in a short time not huge improvements could be expected. Again – more studies needed. After lunch I had to decide whether to attend one of the workshops or the lectures. I decided on the latter. The first lecture was on Health and Injuries among professional dancers in Switzerland (Andrea Schärli). This was interesting and at the same time reinforced some of my preconceived ideas about dance and injuries. Basically, those dancers who were working full-time experienced more pain than those who were free-lancing, and the ballet dancers had more pain than the contemporary dancers. The ballet dancers also experienced lower levels of psychological well-being than the other groups. This is not surprising, but it is still troubling. There is definitely room for improvement. Claire Guss-West spoke about “Dance Intervention in Health Preventive Care”. There is positive development towards using dance to promote health and well-being, and having dance be recognised as a reinforcement and prescription-worthy intervention. There is a subtle shift towards defining health as a positive rather than just the absence of sickness. In questionnaires 62% of the participants said that dancing was “good for them”, vs 33% who said that other social activities were “good for them”. Dance can be helpful in preventing depression, which is a bigger killer than heart disease in western societies. As dance does not inherently involve language, it is a very useful intervention for promoting well-being. In Sweden “Art” can be prescribed by doctors for patients, and the costs are reimbursed for the patients. It has been found that cultural activities are as useful as physical activities in the prevention of disease and the preservation of health. I had time to go to one more workshop before returning to home and work. After this it was unfortunately time for me to leave. As usual, it was a very interesting and inspiring experience. I would hope that more dance teachers and especially the directors, choreographers and physicians who treat dancers would attend. There is much to be done, and the dancers’ careers are short. Terry Pedersen Pfeiffer is a dancer and dance teacher. After her studies at the Rambert Academy in London she danced at the Stadttheater Kiel and the Staatstheater Wiesbaden. Currently she is the director of the Jugendclub Tanz at the Stadttheater Gießen. Dieser Artikel wurde 1449 mal angesehen. Kommentare zu "All chronic injuries were once primary ones"